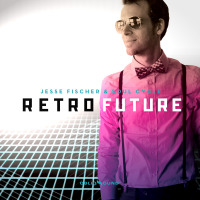 If there is a recognition for a musician in perpetual engagement to his craft, Jesse Fischer would certainly be in the running. The versatile pianist, arranger, engineer, and producer has been on a creative tear since 2011 when he released "Homebrew" with his group Soul Cycle. This was quickly followed in 2012 by "Retro Future," under his own name as leader. Since then he has been involved in numerous side projects with a myriad of artists, prominently in the role of accompanist for female vocalists, both in studio work and performances. 2015 saw the release of his Herbie Hancock tribute "Vein Melter," where he pays homage to the Headhunters legacy. His current production of Day Dreamer is a culmination of his unwavering pursuit of capturing the magical groove in a soul/funk jazz atmosphere, a place where he is right at home. This project is a collaborative effort with several of Fischer's musical companions contributing their talents. Leon Foster Thomas gets things moving with his calypso flavored steel pans on "Nomads," which invokes a Caribbean street carnival. Also on board is vocalist Sarah Elizabeth Charles, who is featured on four tracks, including "Refuge," which she co-wrote. On this tune, her interaction with Fischer's piano is forefront, and she carries the song into those higher ranges with soulful ease. She brings a distinctive new life to the Minnie Riperton classic "Loving You," and then shifts gears into the abstract and free form "Mourning Dove." Charles has been busy of late with her own career, so her inclusion here is something special. "Heading Home," brings in alto man Godwin Louis, and trumpeter Jean Caze, augmented by the innovative violin work of Zach Brock, revealing an undisputed sense of swing permeating throughout. "Sangjee," is a more subdued outing with Brock switching over to the baritone violin, injecting an exotic air to the piece. "Hine Ma Tov," with Fischer on solo piano, interprets the ancient Hebrew hymn, as he travels to his ancestral awakenings. "Suite For The Blue Planet," showcases a complex arrangement that remains true to the funk jazz intention by featuring the stellar trumpet work of Takuya Kuroda. The closing "Lily's Lullabye," with the solid horn section setting up the staccato piano voicings, culminates in an intensifying farewell. Jesse Fischer has been steadily paying his dues in a grueling business which demands much and rewards only those with determined dedication. His output both as sideman and leader over the last few years has been commendable and appreciated. 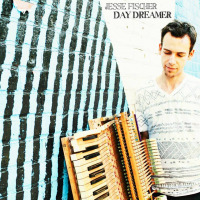 Day Dreamer is the perfect title for this record as it represents Fischer stepping into the limelight on his own terms showcasing his own music, just the way he envisioned it in his head. His multi-dimensional talents are reflected in the final outcome, and judging by this, hopefully, there's more to come. Track Listing: Nomads; Refuge; Heading Home; Sangjee; Loving You; Day Dreamer; Hine Ma Tov; Suite For The Blue Planet; Mourning Dove; Lily’s Lullaby. Personnel: Jesse Fischer: piano, Rhodes, organ, Moog, Juno, glockenspiel, percussion; Godwin Louis: alto sax (1, 3, 8, 10), soprano sax (2); Irwin Hall: tenor sax (1, 8, 10), alto sax (10), flute (1, 8, 9); Jean Caze: trumpet (1, 3,10); Chris Parrello: acoustic guitar (2, 5); Chris Smith: acoustic bass (1, 4, 6); David Cutler: electric bass (2, 3, 5, 8, 9, 10); Adam Jackson: drums; Solomon Dorsey: percussion (1, 8); Sarah Elizabeth Charles: vocals (2, 5, 6, 9); Takuya Kuroda: trumpet (8); Zach Brock: violin (3), bari violin (4); Leon "Foster" Thomas: steel pan (1).